At Xinfu it is our people who make us stand out from the competition. We have a multi-disciplinary team of world-class practitioners with a wealth of experience across all industries. Our team are passionate about transforming leadership and bettering companies and we pride ourselves on always ‘freshly-baking’ for our clients and never taking the ‘cookie-cutter’ approach. Dean has enjoyed over 20 years in the TMT sector - in senior commercial roles at BSkyB, 21st Century Fox Europe (formerly News Corp Europe), Sky Italia, Abu Dhabi Media, and also as a startup CEO. His early career was spent in the oil industry at BP Oil. Dean's roles have concentrated on launching, building and scaling online and offline businesses in the UK, Europe and MENA. He has a degree in Business Administration + German from Loughborough University, plus an MBA from Cranfield School of Management. Stacey is Xinfu's Operations Manager and EA to our CEO, Steve. Stacey's background is in operations and personal development coaching, and she's been coaching individuals and entrepreneurs for the last two years for her own business. Stacey's mission is to use coaching to help others challenge their weakness and struggles, and turn them into their strengths. Apart from a good excel spreadsheet, Stacey loves long walks and the occasional trip to Scotland! For the past four years, Joy has managed Xinfu’s operations in China and has been integral to Xinfu’s growth in China. After gathering eight years’ full time language training experience, Joy started her mission to become a bridge between Eastern and Western culture. Joy has worked as Asia liaison for numerous Western clients since 2013. Joy is an expert in helping daily business communication run smoothly and coherently, helping in areas such as mistranslation, misunderstanding due to culture shock and has a keen eye for detail. Jonathan is an advisor to Xinfu and works with Xinfu’s clients to help them develop winning strategies and business models for outperformance. Jonathan has been involved in the development and/or growth of more than a dozen consumer businesses spanning the telecommunications, technology and transportation (aviation, rail, commercial spaceflight) sectors. For 15 years Jonathan worked closely with Sir Richard Branson, one of the world’s most inspiring and prolific entrepreneurs. He held several senior positions at Virgin Group, ultimately being appointed CEO of Virgin Group North America, where he oversaw the development of the Virgin brand and portfolio in the region. Dominic has over 20 years experience in management consultancy and has worked all over the world delivering and implementing company-wide programmes and personalised executive coaching. He currently works with leaders and teams in some of the world’s leading blue chip organisations. Dominic came into consulting from HM Forces where he spent nine years in the Army as a musician, he played the trumpet. His career in the Army took him all over the world performing in many different events and musical extravaganzas. At the same time however being deployed in various conflicts as a trained medical assistant treating and evacuating wounded soldiers, as musicians have two roles to play! He now travels extensively taking some of the skills he learned in the Army together with his vast experience working with organisations, helping leaders and teams at being as effective as they can be. Dominic’s consistent focus in his work is in getting leaders to see that continued learning, dialogue, coaching and feedback are at the heart of effective leadership and he inspires leaders and teams to bring this fierce practice into their culture in order to deliver commercial success. Some of Dominic’s clients include; Unilever, DSM, Philips, Godiva, Friesland Campina, CSM, Danone, The Wesleyan Church and The United Nations. Jon brings over three decades of study, teaching and work in the shamanic, technological, spiritual, philosophical, and healing arts to produce deeply transformative results for individuals, partners, and organizations. His tracking and visionary skills are world class, and he has worked with leaders in business, government, and the arts. Jon’s miraculous gifts and calling came early in his life with seven near death experiences and opportunities to learn from the most powerful influencers across the globe. He also studied engineering and quantum physics, and worked in high tech industries for over a decade. This bridge of the physical, mental, and spiritual worlds makes Jon’s abilities unique across all fields. Jon was initiated by powerful lineages of shamans, healers, and visionaries most notably of the high Andes mountains and Amazon rainforest. The most comprehensive combination of ancient and leading-edge healing, coaching, advisory, and visionary work that Jon brings has expanded the definition of the title Shaman. James builds high-growth, global digital businesses as executive (Skype, Condé Nast, OpenX, Yahoo! ), board director (farfetch, Vestiaire Collective) and advisor (Science Museum Group, UK Government Digital Service, Roli). 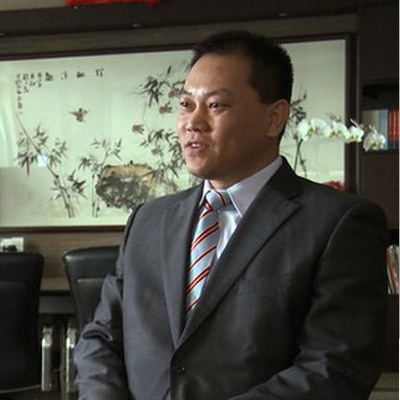 He is a friend and specialist advisor for Xinfu in the area of internet, technology and media. He was until recently President of the digital division of Condé Nast International, where he transformed the digital activities of iconic brands such as Vogue, GQ, Wired and Vanity Fair across 18 markets outside the USA. He led its investments in e-commerce leaders farfetch and Vestiaire Collective, on whose boards he continues to serve, whilst also remaining an advisor to Condé Nast on investments and acquisitions. He was formerly CEO of OpenX, the world’s leading digital and mobile advertising platform, serving billions of ads daily across 100+ countries. James joined OpenX from Skype, where he served as part of the founding management team as its first Vice President to run the global Business Development team. He later took responsibility for Skype’s activities and performance across Europe. James previously held a range of senior commercial and general management roles at Yahoo! in Europe. Prior to that, he co-founded and ran www.upmystreet.com, an award-winning local information business, following a successful career in the Investment Banking Division of JP Morgan Chase. He currently also serves on the UK Government’s Digital Advisory Board and on the Enterprises Board of the Science Museum Group. With over 15 years’ experience in senior Human Resources, Programme and OD roles in the UK, Michelle has lead a range of complex multi-million transformation programmes across a range of industry sectors in both the public and private sector. Michelle’s passion for business performance, transforming cultures and a genuine love of people drives her mission to support organisations through their most testing times, as a coach, facilitator and confidant. Maggie is Xinfu Practitioner and partner in the China business. Maggie is based in Beijing and founded the TOSEE Learning Alliance, a learning platform partnered with the China Entrepreneur Club (CEC). TOSEE is dedicated to senior executives of leading Chinese enterprises and focuses on establishing a multilateral network to foster cross-country innovation, and collaboration between companies across the globe. Their clients include the likes of Wanda, Geely, Fosun, Sina, Neusoft and ENN Group. Maggie has also been Secretary-General of the CEC since its establishment in 2006 and has 15 years’ experience in the media industry, as journalist, editor, producer and others. Maggie was part of the first group of Women of Inspiration at Xinfu and is passionate about promoting the female leadership agenda. Based in Silicon Valley, Rosemary teaches a strong, honest and deeply compassionate Vinyasa Flow class. She emphasizes the breath, intention, mindful alignment… and ultimately, the cultivation of energy and awareness. It is her experience and belief that a consistent practice offers the practitioner a pathway to his or her own divine, radiant nature. 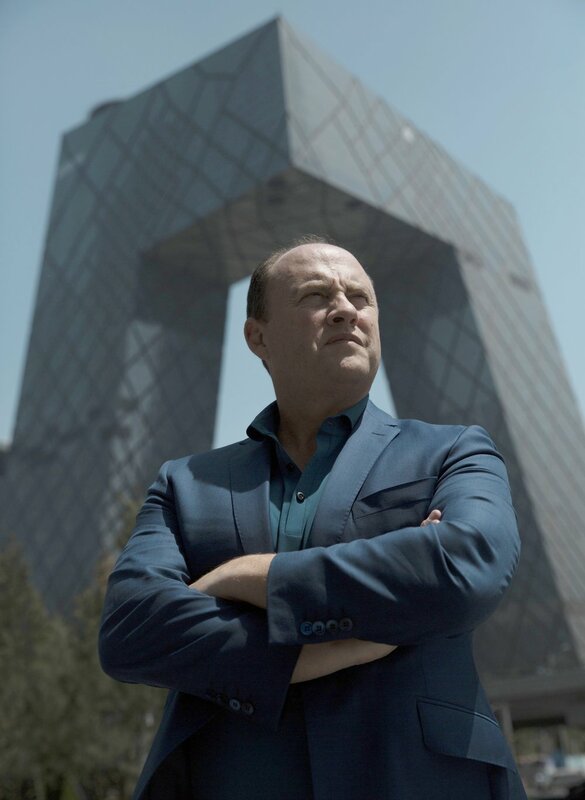 Joe is Xinfu’s Special Advisor in China, and co-author of “Dream Company, Dream Leadership, Dream Life” – our book featuring interviews with 100 of China’s leading private entrepreneurs and MNC and SOE leaders. He is currently the CEO of Bond Education, one of the largest private education groups in China focusing on tutoring middle and primary school students. He is also an active social philanthropist in supporting handicapped children’s education and serves on Zhou Chunya’s Five Color Foundation Board. Patsy works with the Xinfu team when a CEO or executive needs to make a step change in their personal leadership – particularly their ability to present impactfully to a large audience. She has worked extensively with CEOs and senior executives from around the world and across sectors. Patsy is recognized as one of the world’s leading voice and acting coaches. Patsy works extensively with senior executives at major global businesses coaching them on how to present with impact. Her clients include HSBC, Deutsche Bank and KPMG. She is also a bestselling author, whose books include “The Right to Speak”, “Presence” and “Power Presentation”.